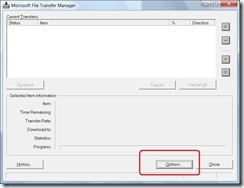 I’ve been caught out a couple of times when running Microsoft File Transfer Manager within a Terminal Services session by automatic timeouts. This is frustrating in that it is not immediately obvious where to go to restart the suspended transfer. 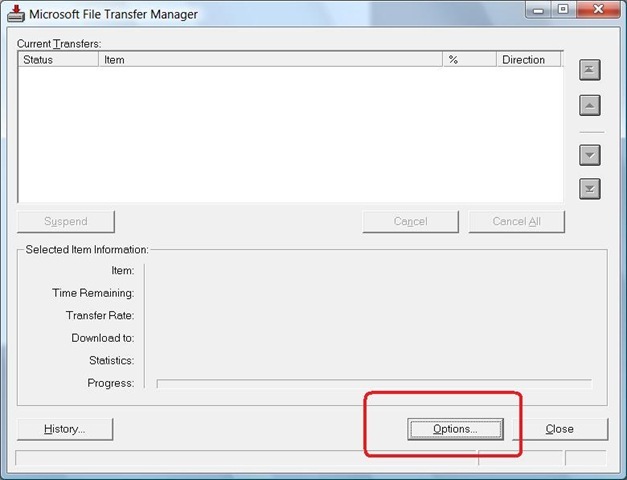 The File Transfer Manager executable (TransferMgr.exe) is located in the following folder: %SystemRoot%\Downloaded Program Files. 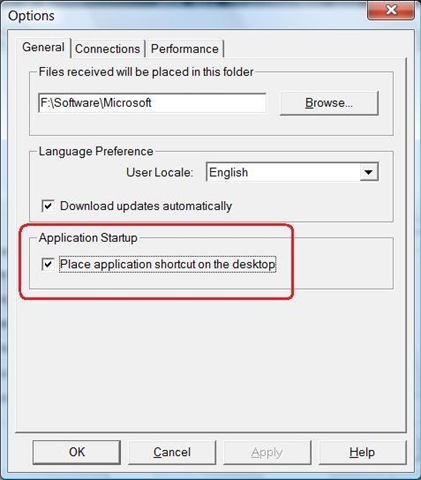 The folder has a special format and it is unlikely you will see the file via Windows Explorer unless you change the view. 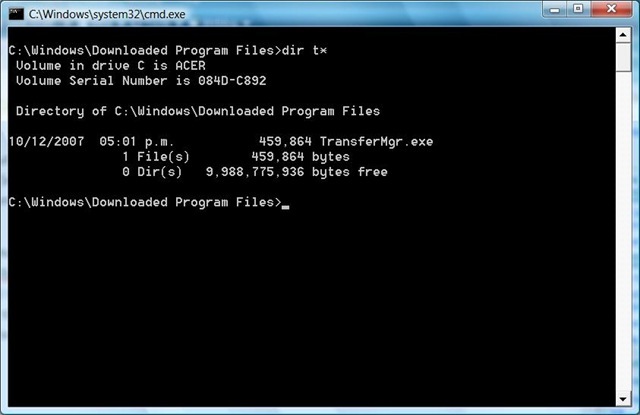 To work around this, go to the folder from a command (CMD) window and launch the file from there. 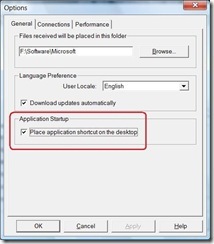 Once launched, you can go to the Options window and select the option to create a desktop shortcut. 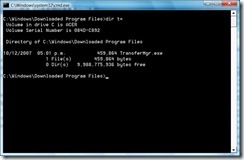 I know there are a number of commercial and free download managers available, but Microsoft’s does a good job. I just don’t understand why they don’t make it more visible! Posted by T on October 18, 2009 at 3:25 am under Misc. Since the 24th October I’d been getting the error “Invalid Update Control CTF File” when trying to update AVG 8.0 on my home PC. I think I remember having this before and it went away after a few days, so I had been ignoring it until today. I simply renamed them both and then selected “Update Now” after right-clicking the AVG icon on the application tray. The update applied successfully and now all is well. Posted by T on November 1, 2008 at 5:00 am under Misc. Yes, I know PST files are BAD, but due to circumstances that would take too long to explain, I still use SMTP and POP3 with Outlook 2007 for my home email. The other day I had a power outage that caused a corruption to one of my PST files. I know that you can repair PSTs within SCANPST, so I Googled where to find it. They weren’t kidding about the “might be slow” part. Anyway, after locating the file, it worked perfectly for my problem. I’ve provided feedback on the KB article, so hopefully Microsoft will update the location soon. Posted by T on October 13, 2008 at 8:54 pm under Misc. 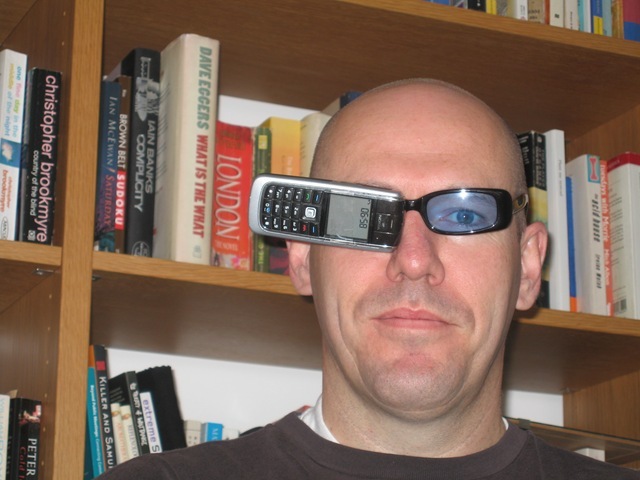 Forget the IPhone – meet the eyePhone! The much-hyped iPhone launched in New Zealand on Friday last week to muted enthusiasm. While the Kiwi geek collective loves the technology, the pricing offered by Vodafone (the sole carrier offering the iPhone in NZ) leaves much to be desired. Across the ditch in Australia iPhone packages are more attractive, with competition between Optus, Telstra and Vodafone keeping the prices at a level consumers can live with. I had been looking forward to replacing my old Nokia with an iPhone, but now I’m not so sure. 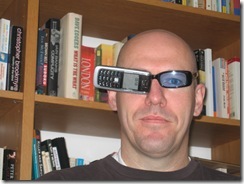 In the meantime, I’ve come up with my own alternative, which I’m calling the EyePhone (see below). Posted by T on July 13, 2008 at 9:27 pm under Misc. Today I installed Outlook 2007 on a test machine and enabled the RSS defaults. 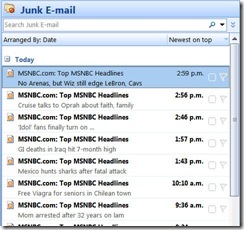 An hour or so later I noticed that the Junk Mail folder contained 60 items. 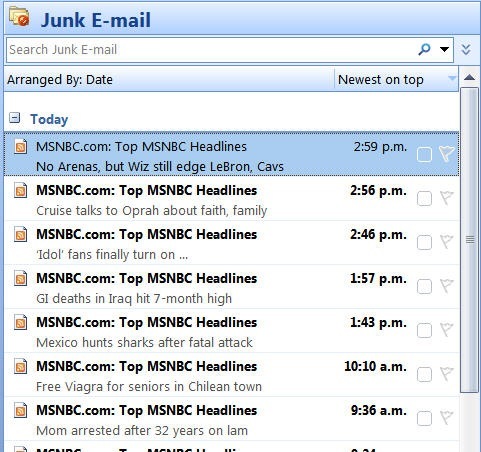 Curious as to what might be in there so quickly, I found it was RSS items from MSNBC.com. Interesting that one Microsoft product considers another to be Junk. Posted by T on May 1, 2008 at 5:55 am under Misc. If you’ve never watched Fox’s TV series ’24′, the name of this blog will mean little to you. On the other hand if you have watched the series you will recognise that the term “open a socket” is CTU’s panacea for all ills. Will Jack escape the building surrounded by bad guys? Sure, all he has to do is get Chloe/Michelle/Tony to “open a socket” and download the building’s blueprints to his PDA. It happens in a matter of seconds. Now why doesn’t my PDA do that? Posted by admin on March 10, 2008 at 10:10 pm under Misc.